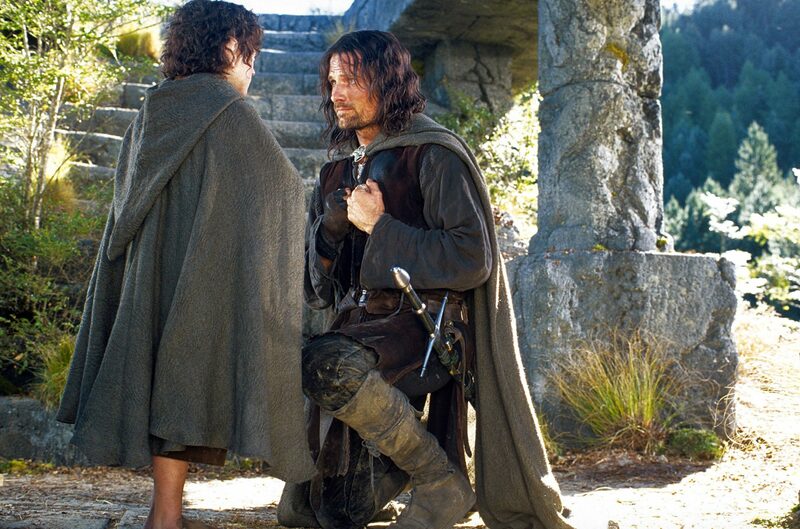 This movie is the first of three which make up The Lord of the Rings. 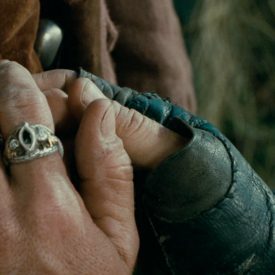 An ancient ring of power, lost for centuries, has ended up in the hands of a Hobbit named Frodo. 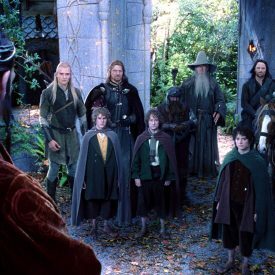 When the Wizard Gandalf discovers the Ring is in fact the One Ring of the Dark Lord Sauron, he and leaders of the Elven, Human and Dwarf races agree that the One Ring must be carried to Mt. 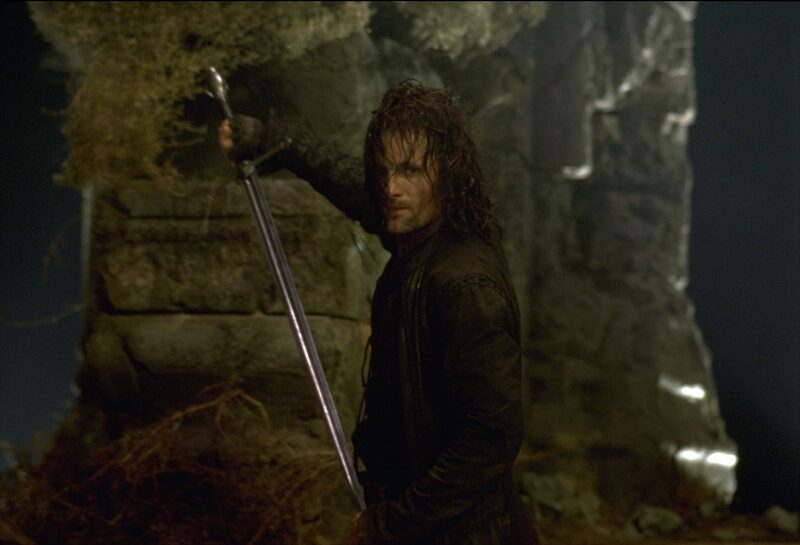 Doom, the volcano in which it was forged, and be destroyed. 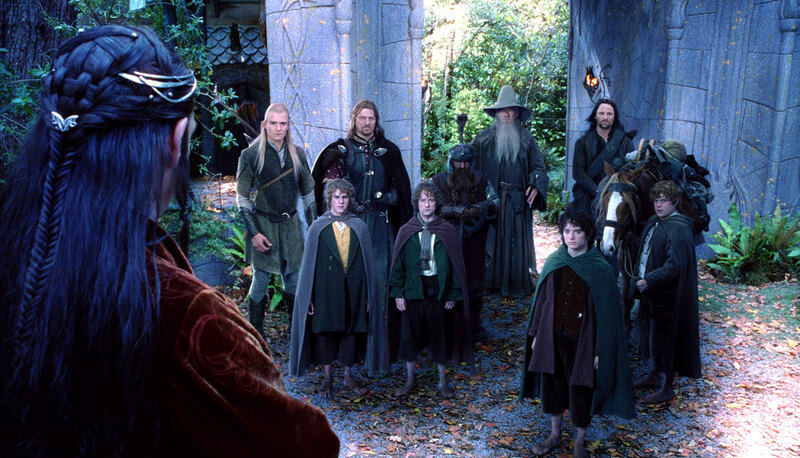 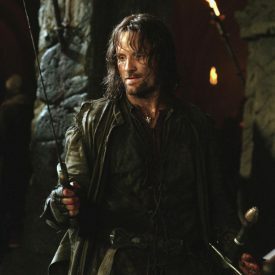 A fellowship of nine undertakes this mission: Frodo, Gandalf, Legolas the Elf, Gimli the Dwarf, the Men Aragorn and Boromir, and Frodo’s three Hobbit friends Merry, Pippin and Samwise. 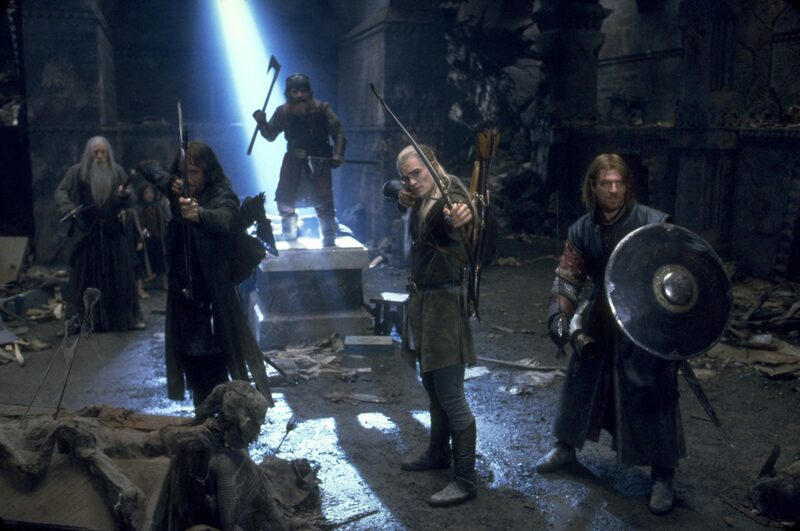 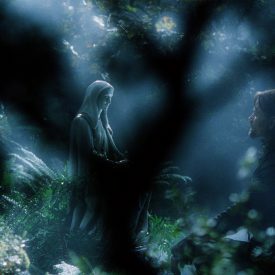 The fellowship faces fear and internal conflict, and external hazards both natural and evil. 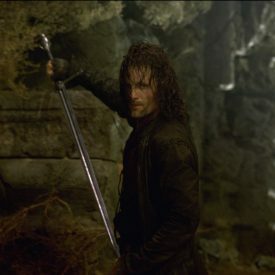 Their strength is in their commitment to each other and their quest as much as it is in their courage and skill with arms. 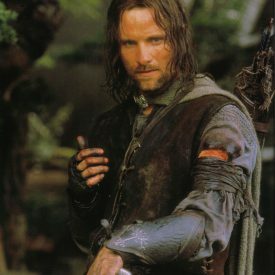 Based on J.R.R. 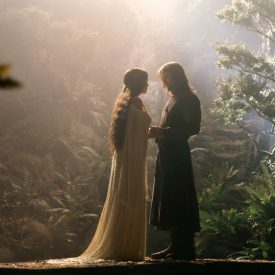 Tolkien’s masterwork, The Lord of the Rings: The Fellowship of the Ring. 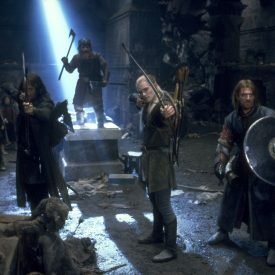 The three films of the Lord of the Rings form perhaps the greatest series of movies ever created. 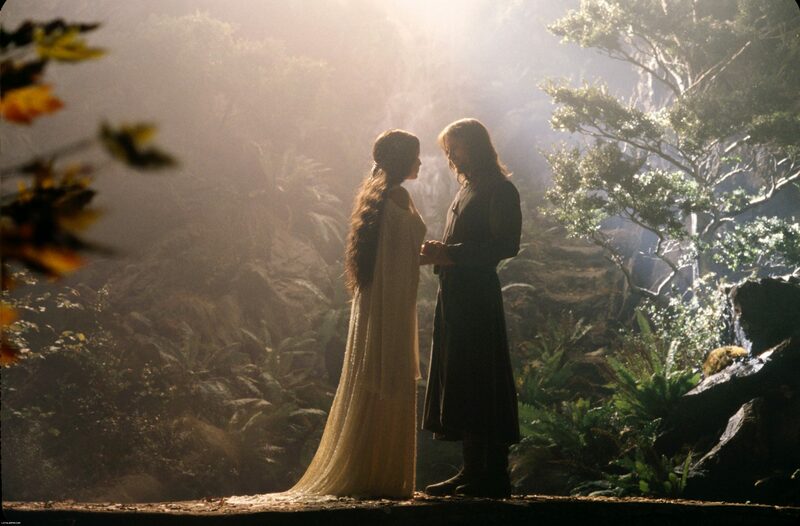 Peter Jackson and a crew of thousands created a vision of Middle Earth, its places and peoples, that is beautiful, awe-inspiring, and true to the books. 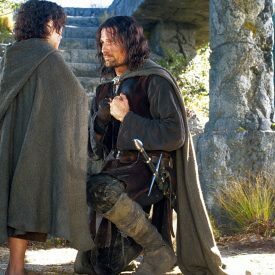 While the leading characters do not always match those in the books, they are none the less inspiring and the tales of their heroic quest are superbly told. 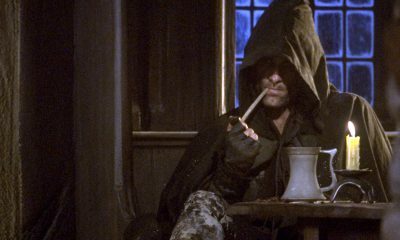 Performances of the cast are also top drawer. 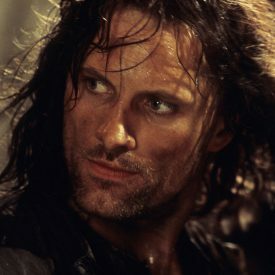 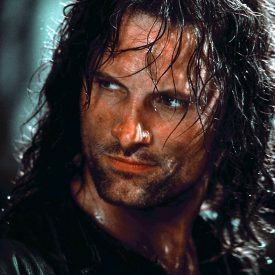 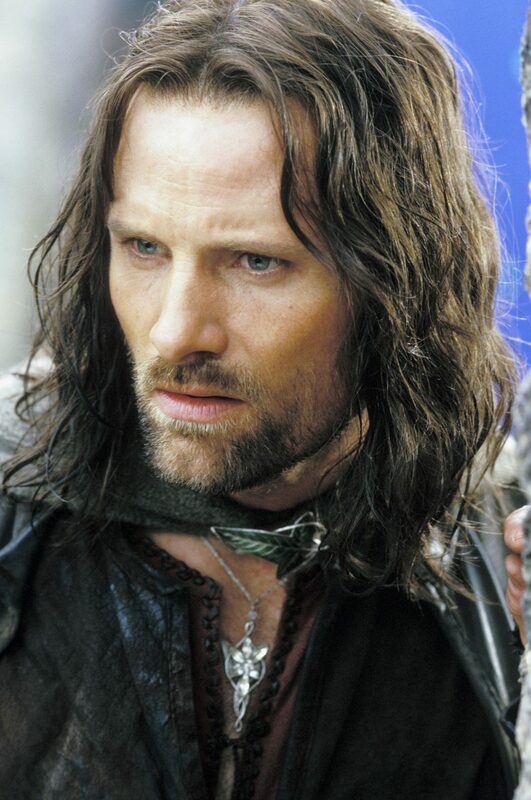 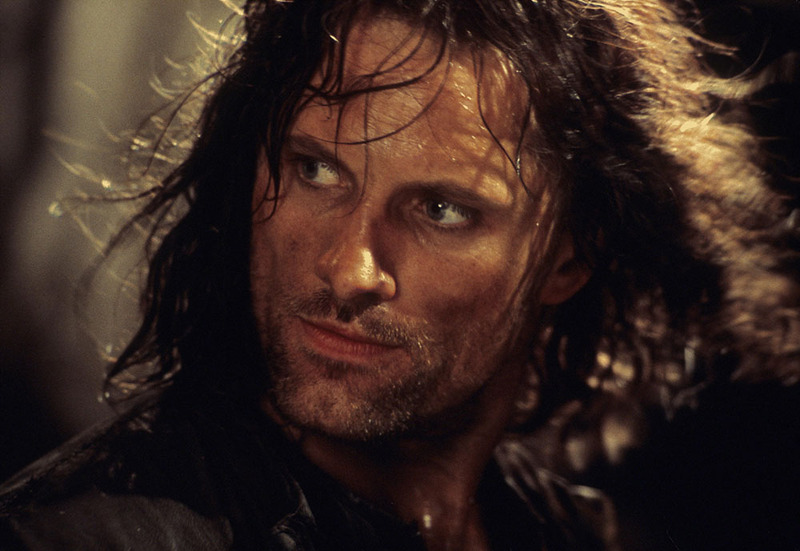 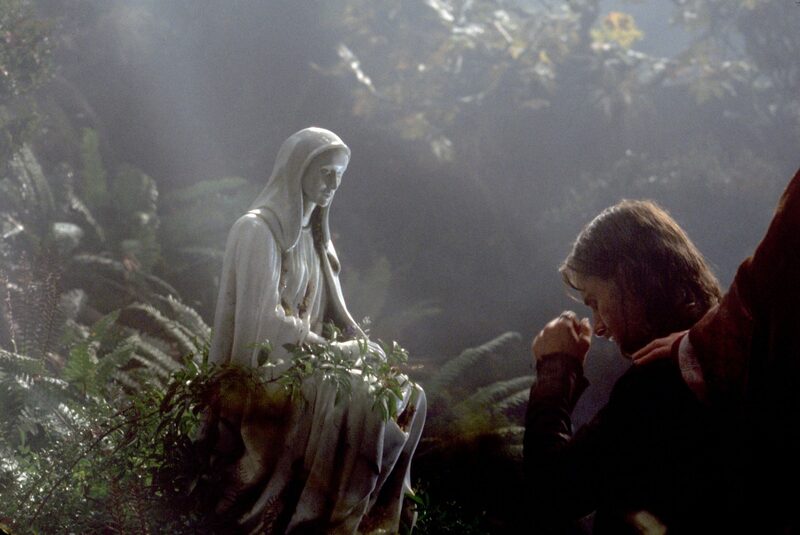 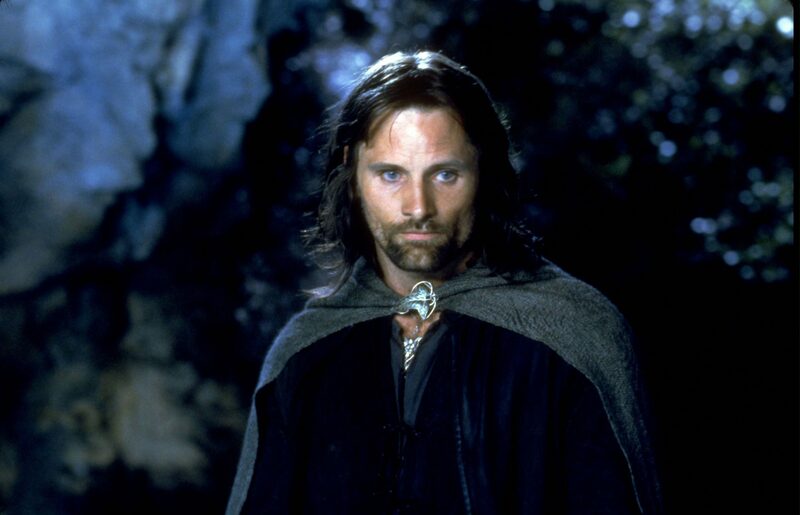 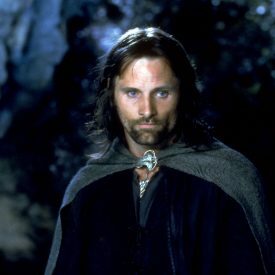 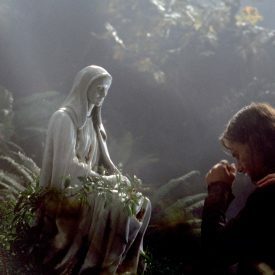 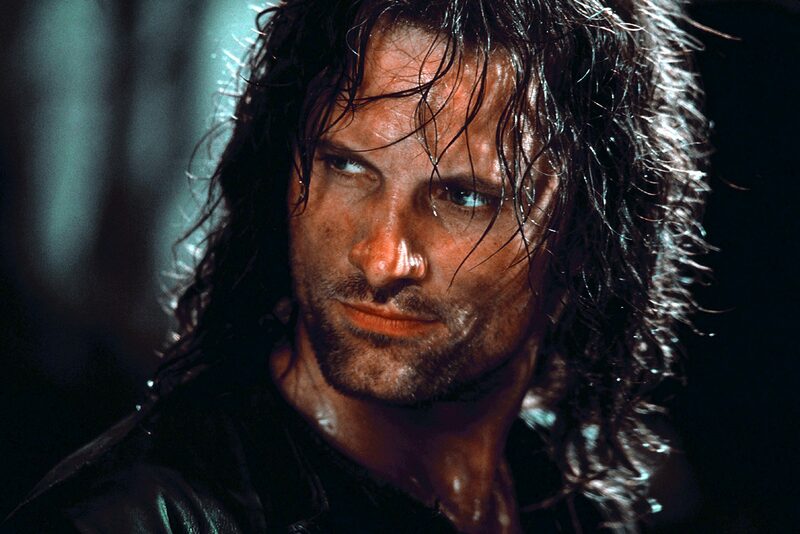 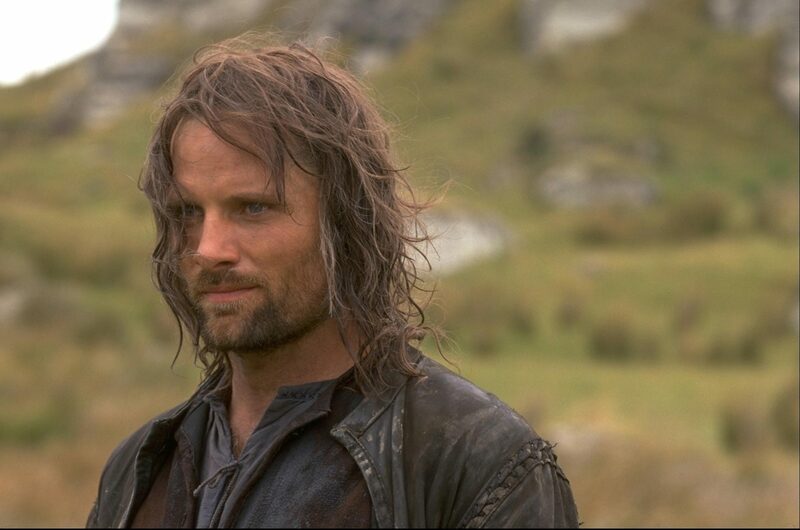 Most often singled out are Viggo Mortensen as Aragorn, Elijah Wood as Frodo, and Sean Astin as Samwise Gamgee, but it almost seems wrong to mention them just because there are so many other exceptional performances. 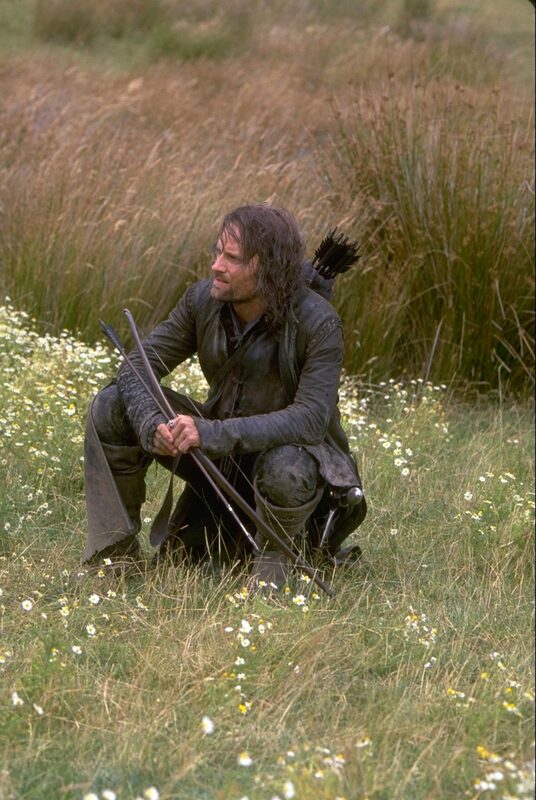 If you are considering purchasing this film on DVD, I strongly recommend the extended version. 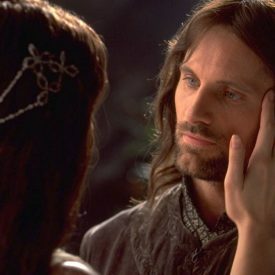 In addition to several commentaries it has many additional scenes that regrettably had to be cut from the theater release of the movie. 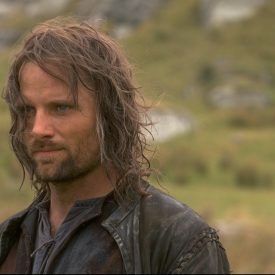 Both regular and extended versions have interviews with cast and crew. 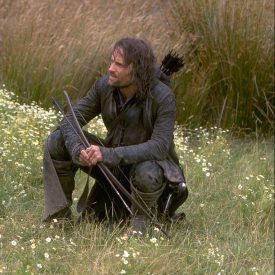 New Line cleverly did not include the interviews from the standard DVD on the extended DVD so if you want them ALL you must get both versions. 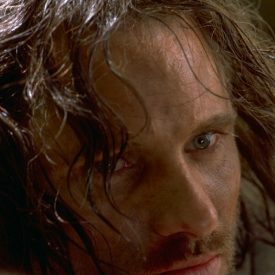 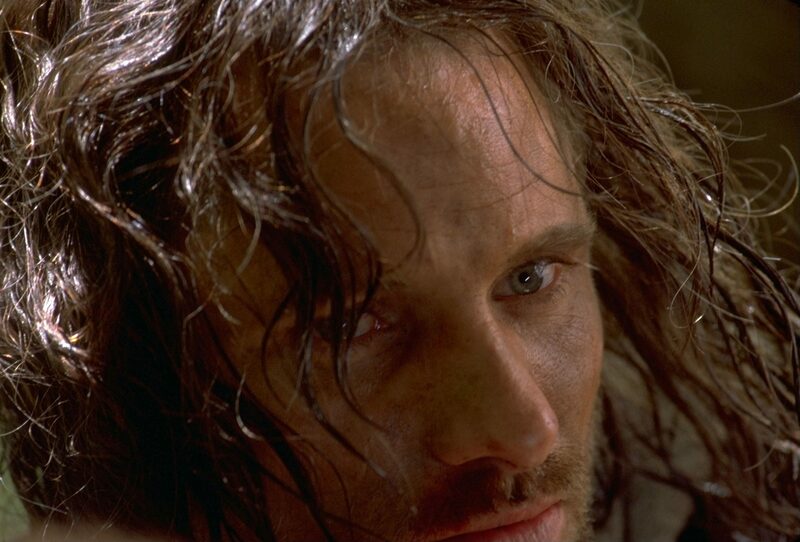 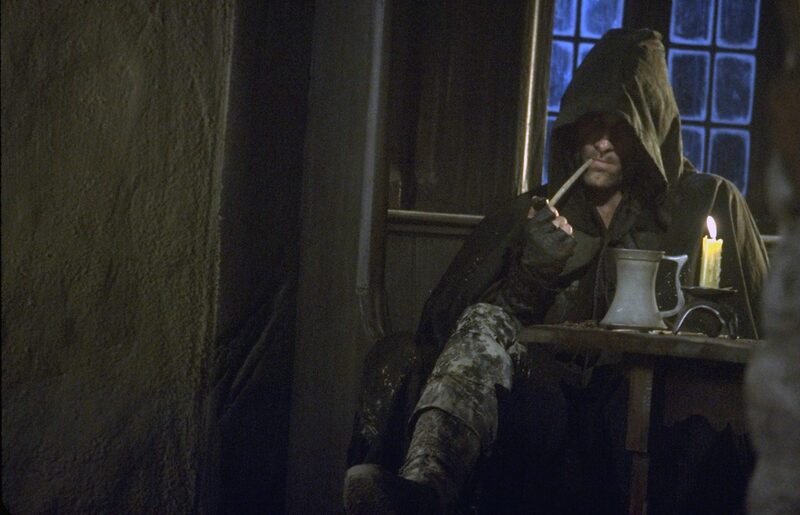 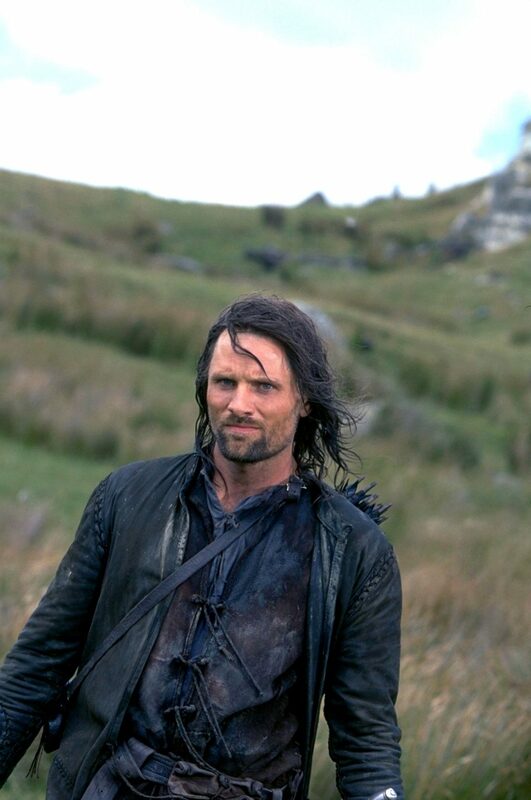 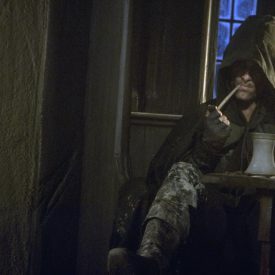 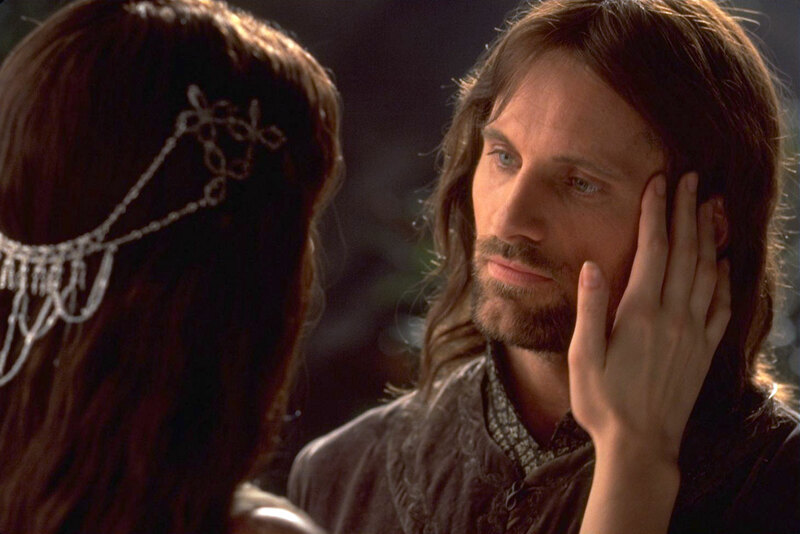 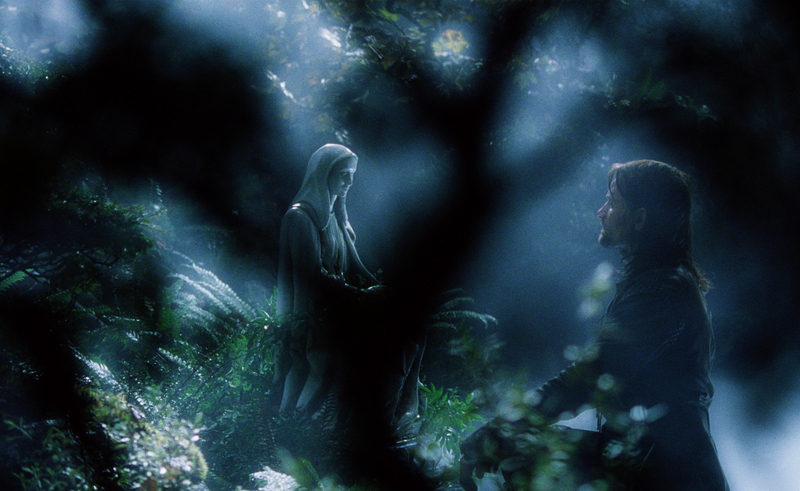 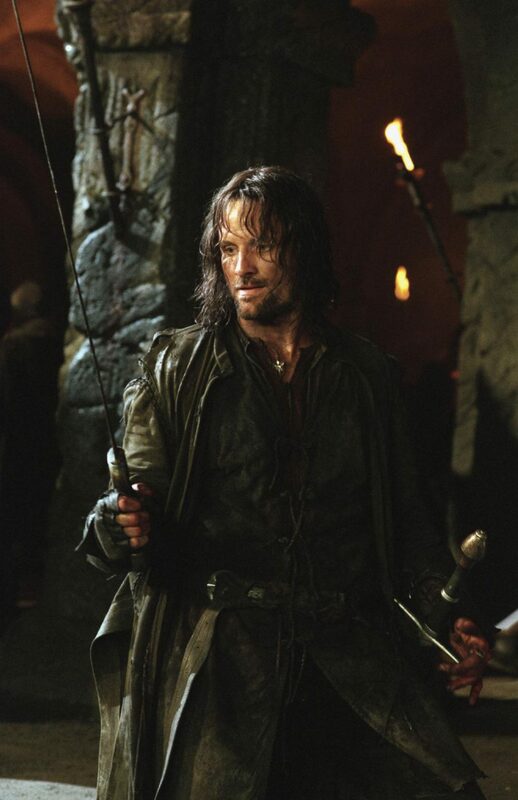 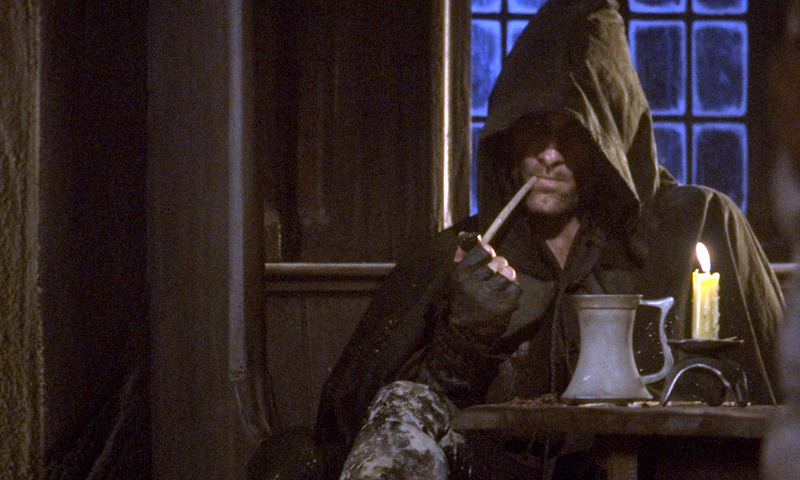 A few stills of Aragorn in The Fellowship of the Ring to tide you over until I can get more screencaps processed. 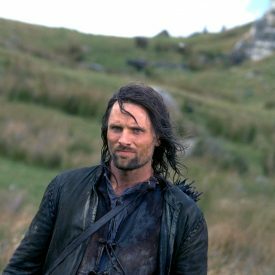 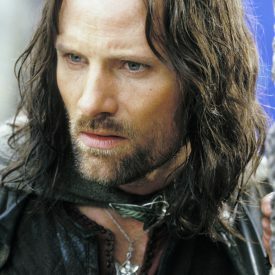 Official HD trailer and video clips from The Fellowship of the Ring, and of course favoring clips that feature Viggo Mortensen as Aragorn. 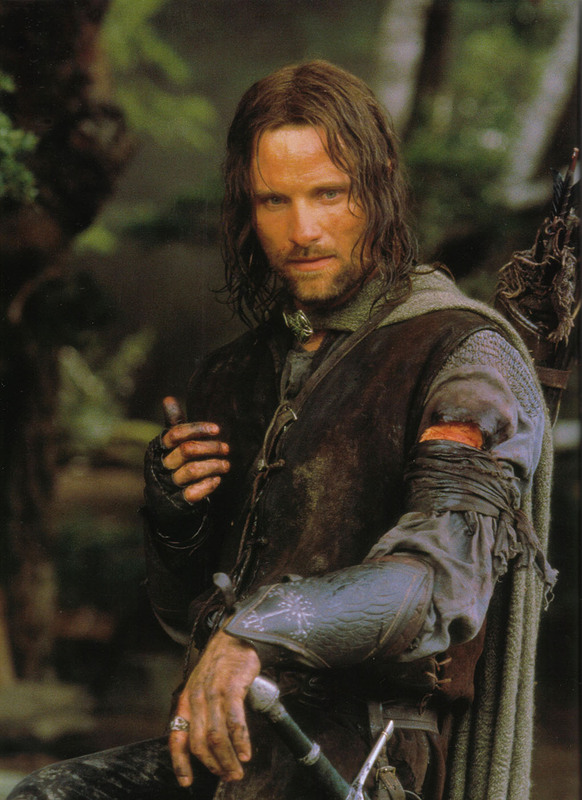 Aragorn son of Arathorn, aka "Strider"